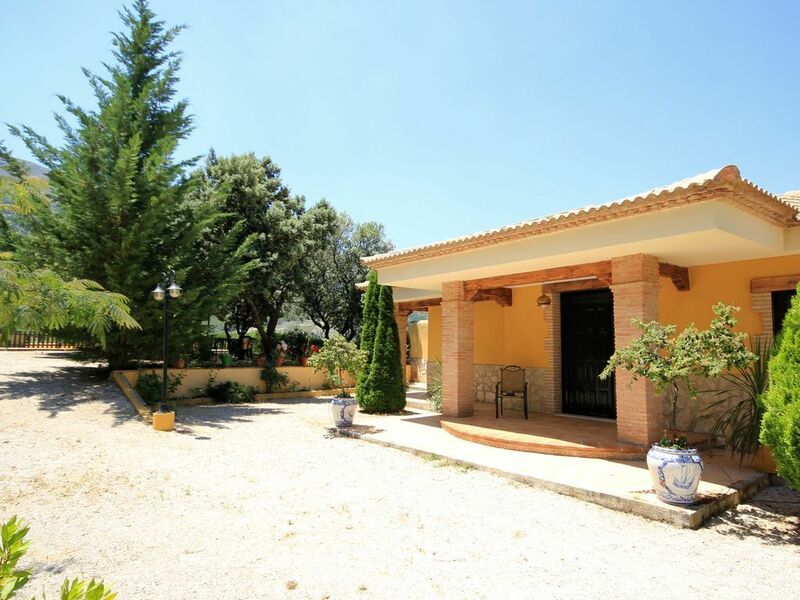 This charming villa is situated in a dramatic landscape of Jaen's green Sierra Sur providing unique and peaceful country retreat. You will certainly enjoy the stunning views on the surrounding landscape from its lovely pool area! Two independent villas, that can be rented together, ideal for families who holiday together! Privacy can be an important issue if you are on holiday with two families. These two villas offer a unique solution for families who have holiday together, yet wanting to preserve their privacy. Beautiful landscapes surround both villas while each villa has its own attractive pools with roman stairs (8m x 5m and deep: 1.4m to 1.8m) and gardens. Inside you'll find quality furniture with an Andalucian touch. Ein sehr schönes Ferienhaus, gut ausgestattet, mit tollem Blick auf die Berge, angenehmes Klima für das üblicherweise heiße Andalusien. Abends kühlt es etwas ab. Der Pool war frisch und sauber, die Vermieter nett und hilfsbereit. Séjour très agréable, au calme dans un environnement de moyenne montagne. Proximité des commerces. JAEN, capitale régionale, est à 15mn en voiture.